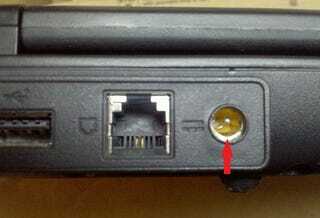 What's the best way to fix a broken-off power port on an Acer Extensa? If you said "glue the sucker back in there," you might just work in Office Depot's repair department. You're also, in that so-painfully-obvious-it-hurts-my-face way, real wrong. specifically wrote "Problem: AC port loose. glue melted from last fix. broken laptop, it also has a part stolen."